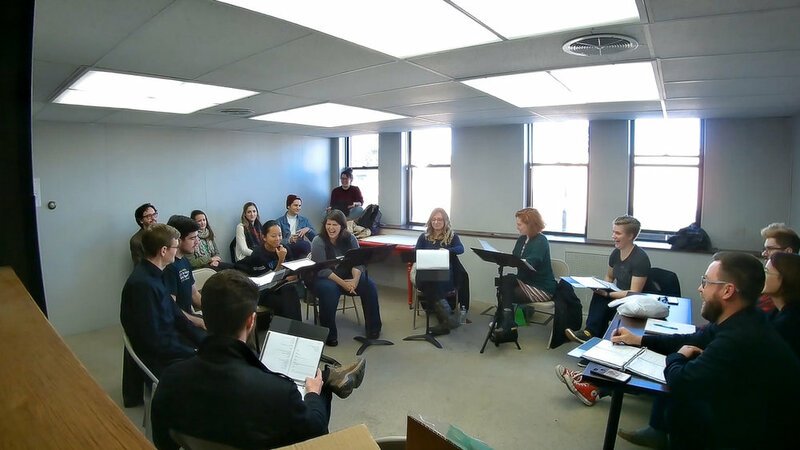 Red Theater Chicago brings their innovative and inclusive approach to an in-house reading of Rébecca Déraspe’s You Are Happy. This is one of the most intriguing things to come across my desk (okay, my purple writing chair) in a long time. Aaron Sawyer is the Artistic Director of the wave-making Red Theater Chicago, which champions “radical accessibility” for both artists and audiences. He approached Rébecca Déraspe and me about his idea of staging my translation of Rébecca’s You Are Happy in ASL and English, using both hearing and deaf performers. Of course, we both were delighted by the possibilities, and said yes right away. I don’t yet know whether Aaron’s company will programme our show next season… if so, I will be off to Chicago like a shot.